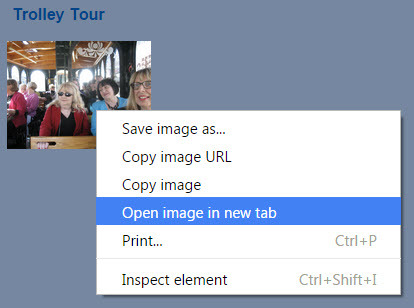 In the pop-up box click on "Open image in new tab". Also notice that you could save the picture to your hard drive or print it from this same pop-up box. When you click as mentioned above, it seems like nothing happens. But look to the top of your browser and see that a new tab (red arrow) has appeared to the right of the tab for the page you are viewing. 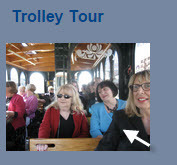 Clicking that tab will give you a larger version of the picture.